Looking for private in-home or in-studio Music Performance lessons? Our Elrod teachers are ready to get you started. Find your teacher today! Check out some of our most popular teachers near Elrod, AL including Tuscaloosa, Vance and Northport. Professional touring musician and teacher specializing in all levels of clawhammer banjo and guitar (classical and flatpicking). Will cater to students' specific needs and goals, whether it is a solid foundation in music reading and theory or learning to accompany oneself on guitar while singing! >Teaching guitar professionally for 30 years. >Scales, Chords, Applied Theory, Ear Training, Sightreading. >Easy going teacher that will address the students wants and advise what the student needs to achieve their personal goal. Are you looking for a performance coach to help you take your performance to the next level? Whether you are preparing for an upcoming performance, and audition, or you simply want to be ready the next time you book a gig, I can help you! 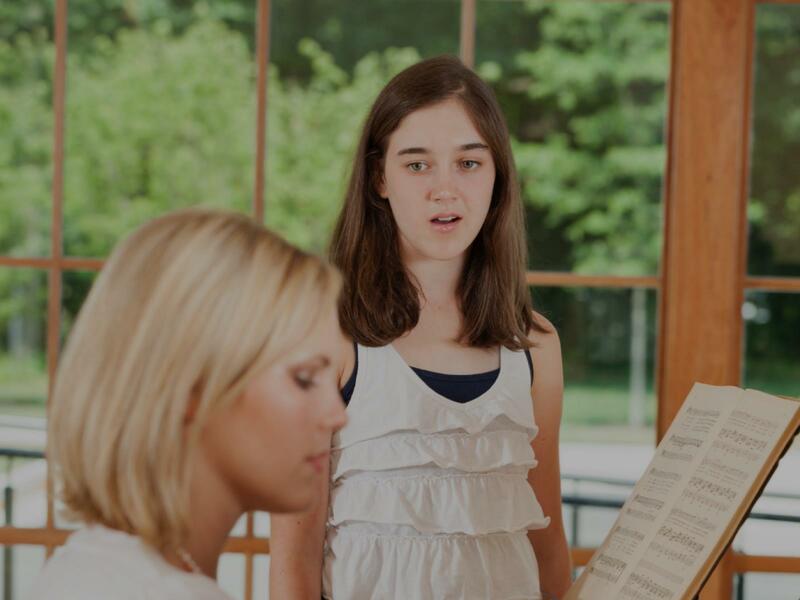 We can work on musicality, interpretation, performance anxiety and nerves, as well as stage presence, or anything else you would like to address. Welcome to my profile - I can't wait to start working with you! I have been teaching piano and general music topics for over 10 years, and I am currently on the faculty at California State University Los Angeles - needless to say, I've seen students from all ages, all backgrounds and all levels. Lucky for me, they all one thing in common: a strong desire to learn music, and an open mind! ends at their school's talent show. I have also taught adults, who used to play and decided to pick it up again - or newbies wanting to discover the wonders of jazz standards. In short, whatever your personal goal is, I can help you achieve it and hopefully inspire you to set a new goal to achieve right after that! I can also help with music theory entrance exams, tutor for AP music classes or college classes, etc. Many prospective students are wary of online lessons and not sure if it's the right way to go for them - I always tell them that you'll never know until you try it for sure! I have taken online lessons myself in the past and loved the experience. I can also attest that several students get a much deeper musical understanding this way, because teachers can't just play an example and have the student copy it - the teacher actually needs to explain how to perform the passage, which leads to the student understanding clearly what is expected and how to achieve it, rather than just copy someone's hand movements without understanding why they are doing it in this particular way. I'm sure you'll also be more relaxed in the comfort of your own environment, at your own scheduled time! Canada-born pianist Andree-Ann has performed extensively across North America and Europe; her work has been heralded as “…Gorgeous, gritty, powerful, and traditional, all in one package” (The Music Farmer). Specializing in familiarly-danceable yet traditionally-influenced Latin Classical music, Andree-Ann has found a calling for her art on the Left Coast, an ideal melting pot for blending cultures and musical styles. Aside from being recognized as a semi-finalist for the American Prize and nominated at the Utah Music Awards, Andree-Ann’s first album, Cervantes, Lecuona & Nazareth earned the Global Music Awards’ Silver Medal for Outstanding Achievement. Most recently, her Summer 2016 release, Milhaud & Ginastera, blended French, Canadian, Brazilian, Argentinean, and American musical traditions – perfectly timed with the Olympic Games in Rio de Janeiro. This album has also been recognized at the Global Music Awards in September 2016. With keen interest in developing her uniquely diverse repertoire, Andree-Ann regularly performs as a soloist, chamber music (in a piano-percussion duo), jazz pianist, and accompanist in the Los Angeles area. Her training includes a Master of Music degree in Afro-Latin music from California State University Los Angeles, and she is currently pursuing a Doctor of Musical Arts degree at Claremont Graduate University. Prior to relocating to Southern California, she graduated with honors from Humber College in Toronto, Canada. Cervantes, Lecuona & Nazareth has been featured as “New & Noteworthy” on iTunes Canada, and may be heard on KXLU 88.9 FM. Andree-Ann’s music is also available on Amazon, CD Baby, CD Universe, and Arkivmusic. My 7-year-old has had 5 lessons with Andree-Ann so far, and she is really enjoying it. In fact, she asked to take lessons more often with her! My daughter has absolutely no piano background, so I appreciate Andree-Annʻs patience while still ensuring that my daughter plays correctly. I am an active performer and have been teaching voice for 7 years. I tailor each lesson to the student's needs and create a supportive and nurturing environment, which gives the student the opportunity to try new things out and take risks. For Music Performance, I will help the student learn how to take work accomplished in the studio to the stage. I am a dedicated and dynamic educator who holds an NJ State standard teaching certificate and Bachelors of Arts with a concentration in Music Education K-12 from The College of New Jersey. As performing artist, conductor and musician, my work in various orchestras in New Jersey and New York as well as with local and international choral ensembles have balanced my professional palate. I actively contribute to community organizations and teach a studio of instrumental students ranging from pre-K to college. Can't find a teacher in Elrod, AL?